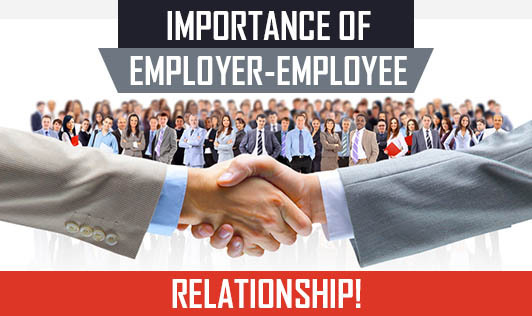 Creating an employer-employee relationship within the organization is worthy. Some businesses fear giving their employees too much buy in or power while others don't recognize that there are various actions they can take to make their workplace run smoother. In order to maintain a good employer-employee relationship, there needs to be constant nurturing, set expectations and results. Converse openly: This is vital for building a positive workplace culture. If you're an employer, don't hide important information from your staff or only reveal the information to a selected group of workers. Keep in mind that many positive results arise when employers and their workers respect and trust each other. So, make it a point to keep your team members in the loop at all times! Reliable feedback: If you want to improve your employee's performance, you need to give him feedback, both positive and critical. Employees find it quite frustrating if their project has been disapproved or their work has been changed and they have no feedback as to why this has happened. You need to help your employees grow by offering consistent feedback. One way to do this is by setting up monthly or weekly meetings to check in with them about their progress and the goals they want to accomplish. By doing so, you will see your employees being more engaged with their work. Appreciation and gratitude: Remember to be empathetic to your employees and appreciate their efforts to contribute to the organisation. When an employee has consistently performed well and receives no recognition, his job satisfaction will be low. Sometimes, employees in this situation may also consider finding a company that appreciates their work. Hence, it's important to be grateful to your employees and show appreciation. Follow through: As an employer, you owe it to your staff to follow through on your commitments. For instance, if you've told an employee that he can attend a training session to improve his skills, make it a point to approve his expense report when he turns it in. Remember to evoke trust and respect from your employees by showing that your commitment to them is imperative.